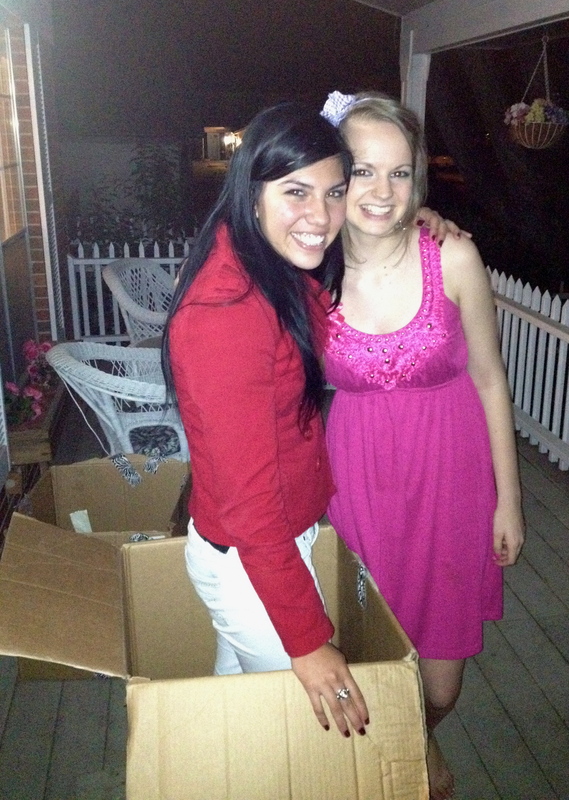 Wednesday night my daughter, Hannah received a surprise in a box on our front porch. It was a large box, and when Hannah came out to see what was in the box out popped “Chivis,” her friend from Mexico City. We are excited to host her again for three weeks! While she’s here apart from continuing her school work, she will enjoy some good time with our family. One special event we have coming up is Hannah’s graduation tomorrow on Saturday, May 12th. Thank you, Jesus that Chivis can join us and celebrate with us! The Silva family are dear friends of ours from Mexico City. We are praying that they will be able to join us on the border in ministry. Mario and Silvia are wonderfully gifted servants. We loved ministering with them in Mexico, and it would be a dream come true to have them work alongside us on the border. One of the things that has held up their move is our move. They are waiting for us to sell our house, and get settled in before they make the transition. In the meantime we are praying with them, and seeking the Lord’s perfect timing. It’s not always easy to wait, but as I mentioned in an earlier post if God truly rules over all we don’t have anything to worry about. Mario is such a great friend, and blessing to me. Recently he sent me some promises from the Bible to lift me up. Here they are. I hope they are a shot in the arm for you as well! Aren’t those rich promises. Thank you Lord for such wonderful promises. Thank you for such wonderful love. Praise the Lord with us! Sounds like there is going to be a party or two! Yeah – it will be a fun weekend! Those are great promises! Praying for you and yours an awesome weekend!